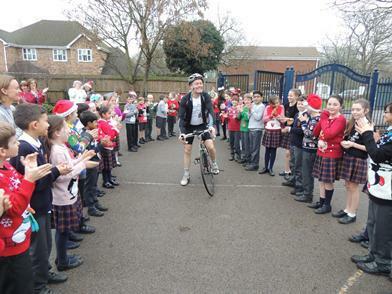 Today our caretaker, Paul Eggleton completed the last few metres of his 10,000km cycle ride challenge! 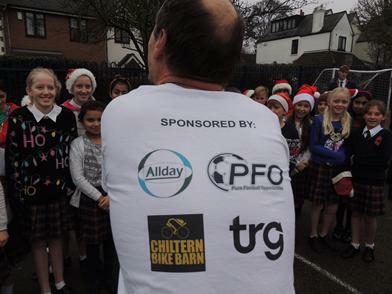 Greeted by all 360 children and the staff of our school, we cheered him across the 'finish line' in the playground. 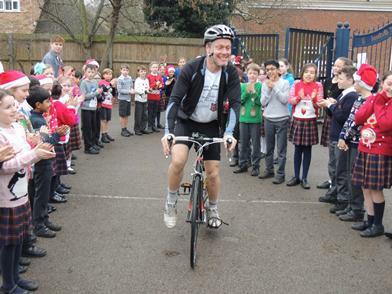 Huge congratulations to Paul who has been raising funds to be split between The BrainsTrust and our school - over £3000!" Well done Paul!! !